Kids' Book Review: Review: Good Night! Good Night! by Ethan Long is a companion board book to Hi! 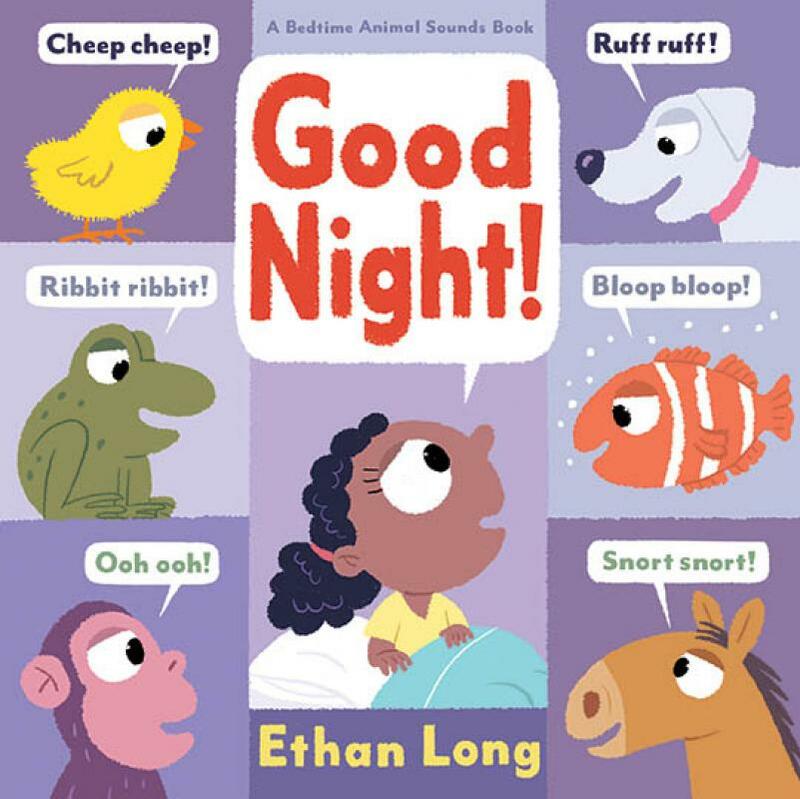 It’s a “bedtime animal sounds” book featuring parents and children settling into bed for the night. These parent and child pairs are mainly animals, most of which should be recognisable to young children. There are frogs, chickens, crickets, monkeys, bees, dolphins, fish, horses, lions, dogs and others. The animals say goodnight in their own way. Dogs say “ruff ruff“ and “woof woof“, frogs “ribbit ribbit“ and “croak croak“, and hyenas “hee hee“ and “haa haa”. When all the young animals are finally asleep, a little girl says “Goodnight” to her father who has just tucked her into bed. Bright friendly illustrations complement the simple story. Wonderful to read with toddlers at any time, but especially as a bedtime story.